Material that exists but as yet no Australian Source. Guide to Libraries & information context. 629.04 ABB 1995 Abott & Wilson 279 pages. Very comprehensive and includes HPV's, HPA's and HPB's. Well worth a look. 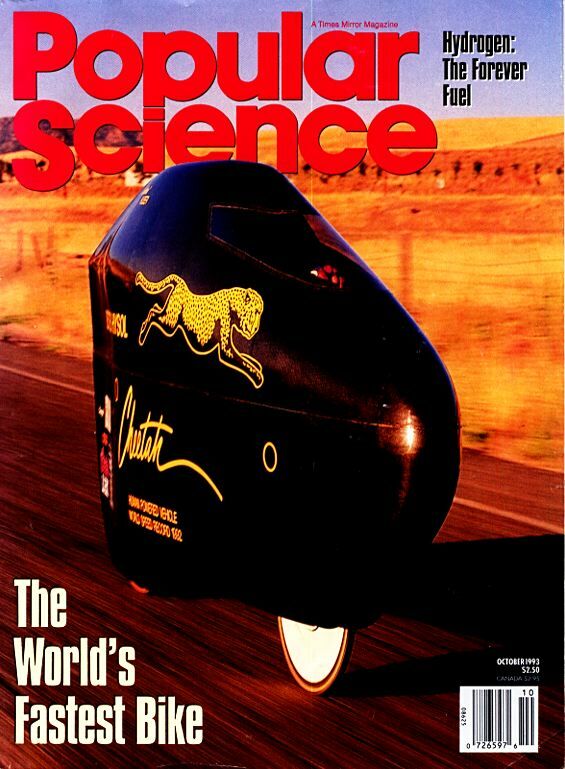 The Aerodynamics of Human-Powered Land Vehicles Scientific American Dec 1993 Albert C Gross, Chester R Kyle, Douglas J Malewicki. The Royal Aeronautical Society Human Powered Aircraft Group Several pages of references including books, magazine articles etc. References for Human-Powered Aircraft Has many pages of references to material from a Japanese author. (in English). Bike Cult : the Ultimate Guide to Human-Powered Vehicles. This book has many references to articles/books/periodicals relating to HPV's, HPA's, HPB's and cycles in it's Appendices. Gossamer Odyssey- The Triumph of Human Powered Flight. This book has in the Bibliography 5 pages of references to books, articles etc. See the Canterbury HPV Web site from New Zealand listing out many books and magazines. On a wing, prayer, Raven eyes record March '98 ABCNEWS.com technology article. Check out the new 1999 HPV CD available from OzHPV. The newly established "Australian Cycling History Resource Centre" is situated at 3 Rosevear Place Dickson ACT and is an annexe of the Canberra Bicycle Museum, 2 Badham St Dickson ACT. We have lots of books, magazines, posters, photos relating to cycling, and of course this includes recumbents and all manner of human powered vehicles. We are open to the public on Wednesdays only at present, when they are welcome to come and browse our materials. Among our publications we have IHPV Assoc, Bike Culture (UK), Recumbent Cyclist News (USA), Laidback (USA). We also have examples of recumbents for people to look at, some of Wayne Kotzur's creations reside here. As you can see these not only point to recumbents but also relating topics. Some of this material I haven't sited so am not sure of their relevance apart from what appears in the text in a Library search. You may know of other HPV material not mentioned here. Email me with the details and I'll add them if appropriate. Australians can usually borrow from libraries in other States and Territories as well as the National Library. State Libraries may only let you read the books in the library but you may be able to take them home if you push them a bit. In Tasmania we have just been hit with a fee of about $12 to anyone borrowing interstate through their local Library which is a bit of a bummer for anyone not living on the North Island. To borrow from the TAFE in Tasmania you may need to find a student there to help you out as they are very 'closed' to the general public. Tasmanian University students can also borrow from the Tasmanian TAFE Library I believe. The Western Australia State Library has an excellent searching setup using your Web Browser on the Net. Qld, Tas, Vic and SA use OPAC with a Telenet program. I've been using the upgraded Hyper-terminal program that came with Win 95 now at ver 3. NSW uses a different system (than OPAC) which I found a little hard at first but still workable. When searching the Net & Libraries, here is a list of useful key-words. Human Powered (most useful), Recumbent, Tricycle, HPV, Bicycle, Bicycle Design, Bicycle Construction, Bicycle Technology, Solar, Power Assist, Electric Vehicles, Hybrid. The Net book store Amazon.com has on my most recent search 15 HPV related books listed for sale. Use the key words 'Human Powered' as a start to see some of them. Dymocks on-line may have what you are after also.